So when I left off, I had just gotten the sleepy pain medicine to get a break. I remember that although I dozed off, I wasn't actually fully asleep. I could still feel the contractions, they were just waaaay less intense. When the medication started to wear off after about a half hour of relief, I realized how done I was. I was so exhausted and really did not feel like I had the strength to continue for another six hours or more plus pushing. I talked over the options with Lori. I wanted another dose of the pain medication, but that wasn't recommended as it might cause me to be too sleepy to push. The only other options were to continue on without anything or get an epidural. Talking over options with Lori & my family. 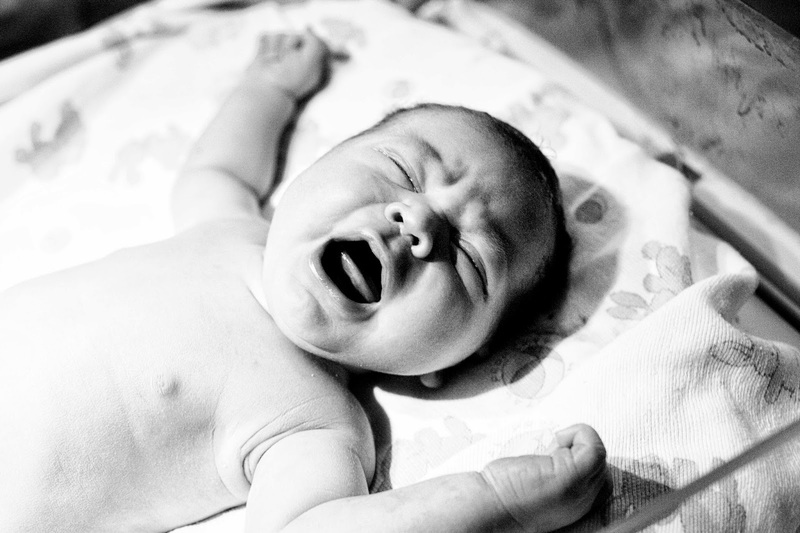 If you follow my blog at all, you know I was a HUGE advocate of natural birth. I really, really wanted one and everything Patrick and I had done to prepare for the birth was in anticipation of it being epidural-free. So when it came to this point, I really struggled with the decision. I had been in labor for around 18 hours and without any sleep for almost two days. I was around 7.5 cm. I could handle the smaller contractions but when the bigger ones came, I really struggled. I know I stared to scream through the harder ones. My body/mind were just so, so tired. So I talked about it with Patrick and my family. 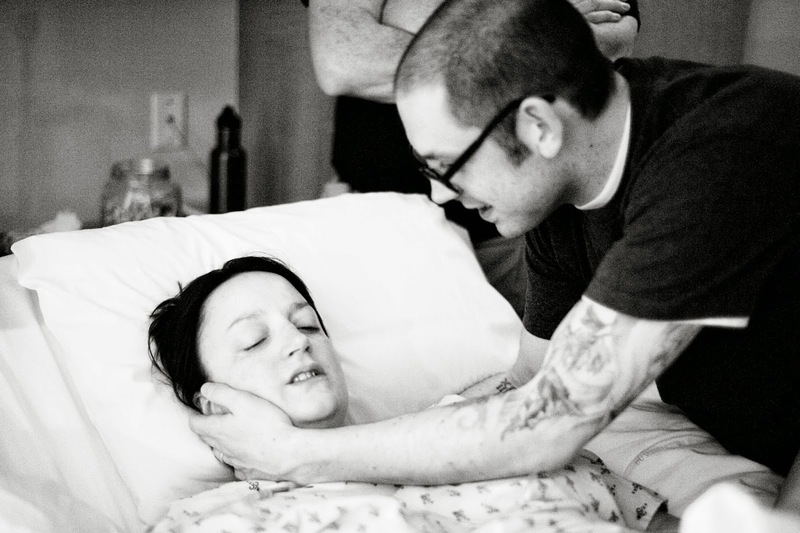 I knew I needed help but I felt like an utter failure to even consider getting an epidural. 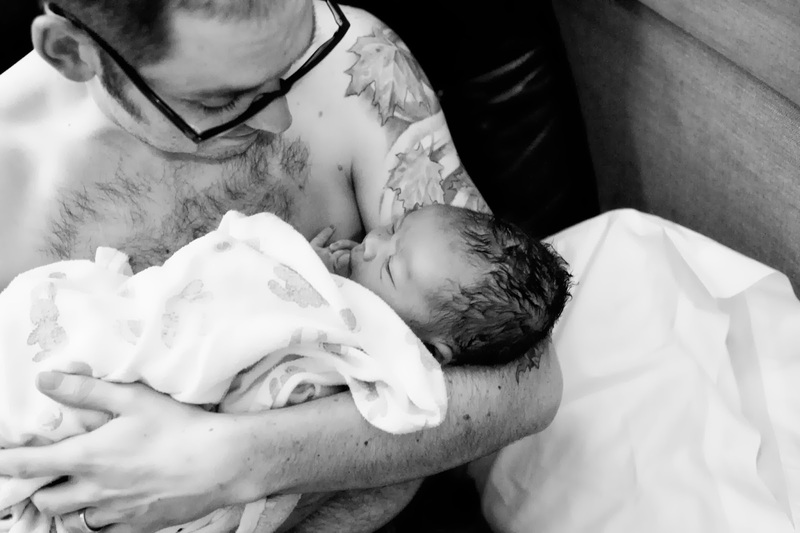 I felt like I was betraying the beautiful vision that we had created for the birth of our son. Luckily, I have an amazing husband who didn't blink an eye in supporting me. I think at that point everyone was so tired that the thought of having an easier labor via epidural was a good idea for everyone. So I decided to get the drugs. The anesthesiologist had literally just left the building, because it was around 6 pm. They paged him and luckily caught him before he had gotten too far from the hospital. He arrived and got the epidural placed quickly. It wasn't that bad of a process and the anesthesiologist was a really nice guy. After that, I felt haaaappy. After the epidural. Yes, I look terrible. Happy, but terrible. But I guess that just goes to show how awfully exhausted I was. 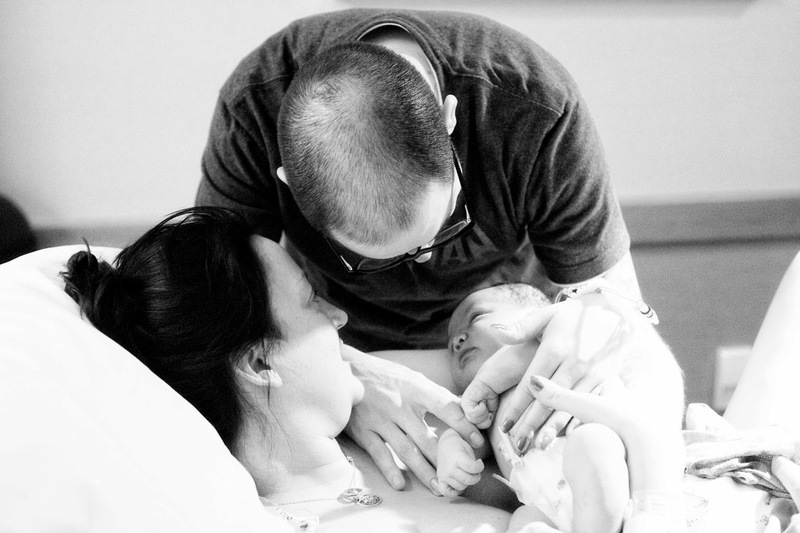 After the epidural took effect, things totally changed. I was able to speak again and I became actually aware of my surroundings. 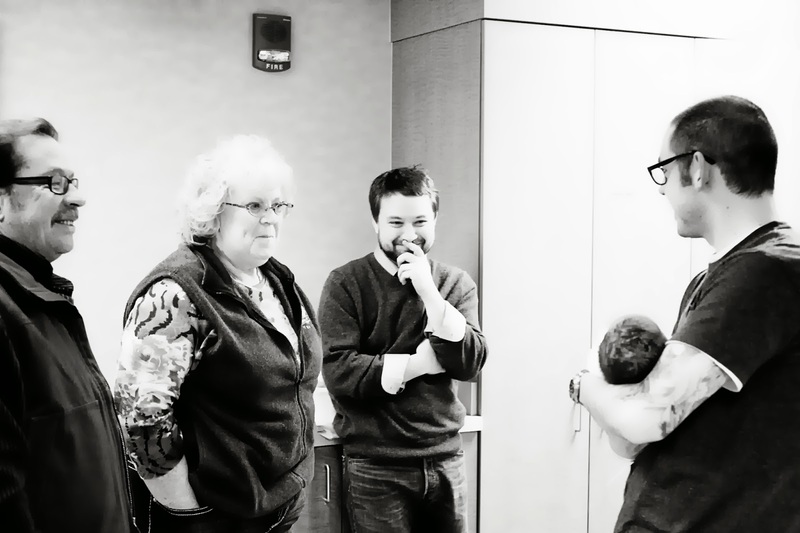 I was able to visit with my in-laws and Grayson's uncle John, who had been waiting for hours in the waiting area since they had told us that he would be born by noon (ha!). 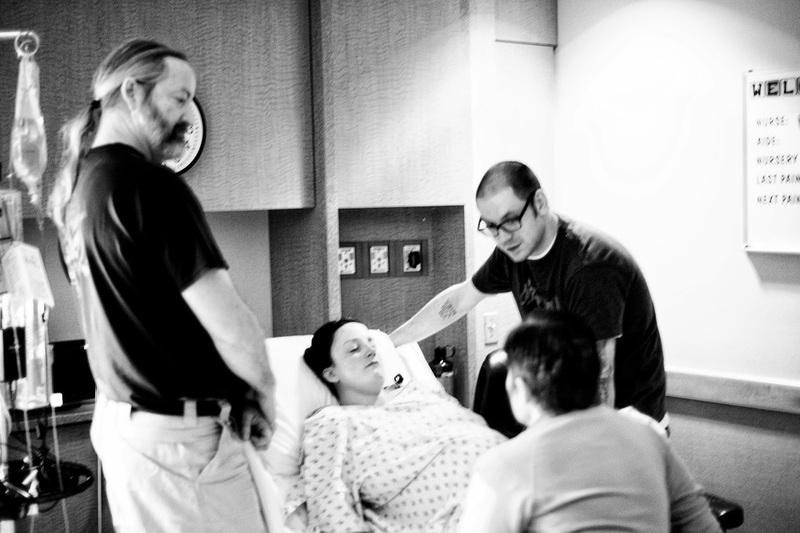 It was at that point that Lori informed us that she hadn't wanted to say anything before the epidural because she was afraid I would punch her in the face BUT that my contractions were not doing enough. Like I said in Pt. 1, it's not recommended to be in labor longer than 24 hours after the water breaks and the way I was progressing it looked like I would reach the 30 hour mark before I even could start pushing. So she recommended a small dose of pitocin to get things going faster. This was also something that I was very against before the birth. I figured labor would take however long it would take and that was that. But it really did seem like my uterus was struggling to perform the way it was meant to and needed some help (the reason why would become all to evident soon). My coach giving me words of encouragement. So we started the pitocin drip. I don't really have much memory of what happened in the next five hours. I know I started to progress faster and I guess maybe I slept for some/a lot of it? Finally around 10 pm, I was 10 cm, fully effaced and ready to push. Pushing was actually really great in the beginning. I felt like I was doing a good job and Lori, Patrick & my family kept telling me how well I was doing. I felt so successful. In between pushes. See? Pretty happy camper. 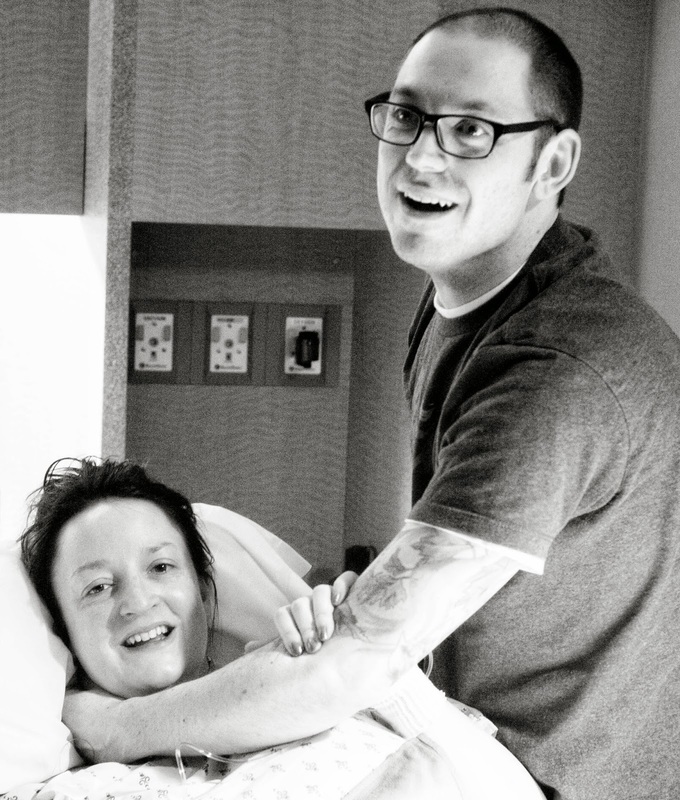 I had been warned that getting the epidural would increase pushing time. Plus I was a first time mom, which also increases the average length of pushing. However, after only about 45 minutes Grayson was crowning. I was in the zone! Now here's where the "terrifying" part of the story comes in. Grayson had crowned and at the same time, Lori realized that we were dealing with a MUCH bigger baby than anticipated. I don't remember this but Patrick recalls hearing her say "oh no no no no" when she realized how big his head was in its entirety. I was able to push his head out but the bigger problem then became apparent - his shoulder was stuck on my pelvis. 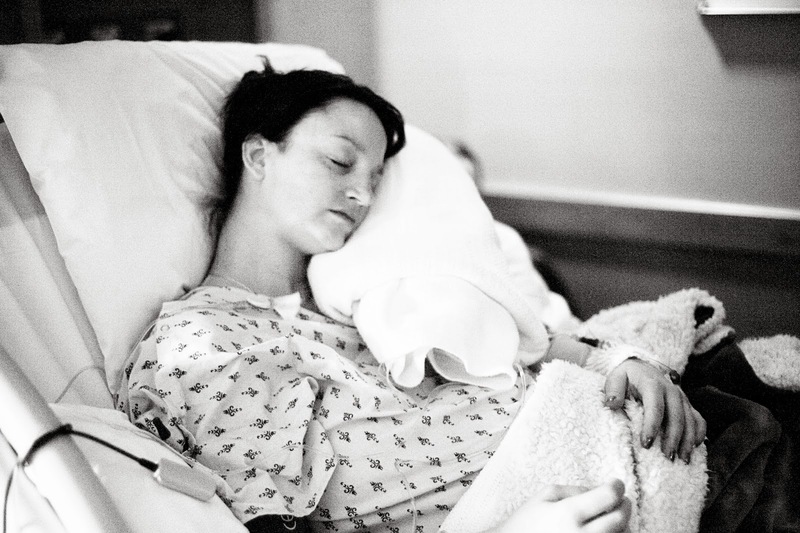 This is called shoulder dystocia and it's one of the major emergencies that labor & delivery people run practice drills to prepare for because there's no way of knowing if it's going to happen. And once it is happening, there is a finite time (four minutes) before the baby can be in serious trouble (lack of oxygen to the brain, among other issues). Shoulder dystocia - you can see the top shoulder of the baby is stuck. I remember hearing Lori start shouting and suddenly the room was filled with people. I found out later that she had called a code, so every on-duty nurse that wasn't with another patient ran to my room. 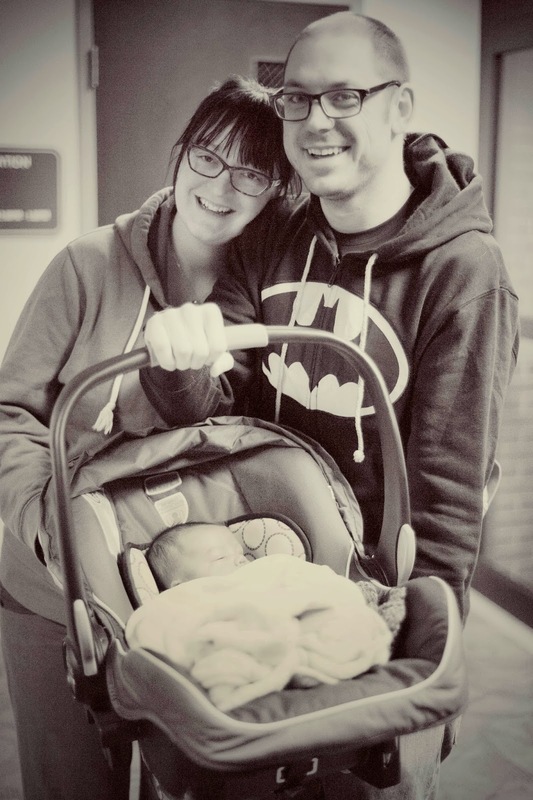 She also yelled for the on-call OB, who didn't end up arriving until after Grayson was born. Lori, the nurses and my family all tried to help get me in to a yoga-esque pretzel position to increase the room in the pelvis and help Grayson get un-stuck. That didn't work. As a last resort before drastic emergency measures needed to be taken, Lori said I needed to flip onto my hands and knees (called the Gaskin maneuver). Now despite the fact that I had the epidural and was supposedly unable to move my lower limbs, I flipped myself almost the entire way. Lori kept yelling that I had to push, push, push. At this point apparently I let out a primal scream that scared my poor family to the point where Patrick thought I was actually dying. I reassured him later that I was just trying SO hard to get Grayson born that the scream must have been my survival instinct, mama bear, primitive self kicking in. I remember being more scared than I ever have been in my whole life. I thought that I was going to lose my baby boy. Thankfully the Gaskin maneuver and the primal scream pushing were enough that I was able to push him out completely. But even after he was born, I didn't know if he had survived the birth. He wasn't breathing when he came out and apparently had started to turn blue. 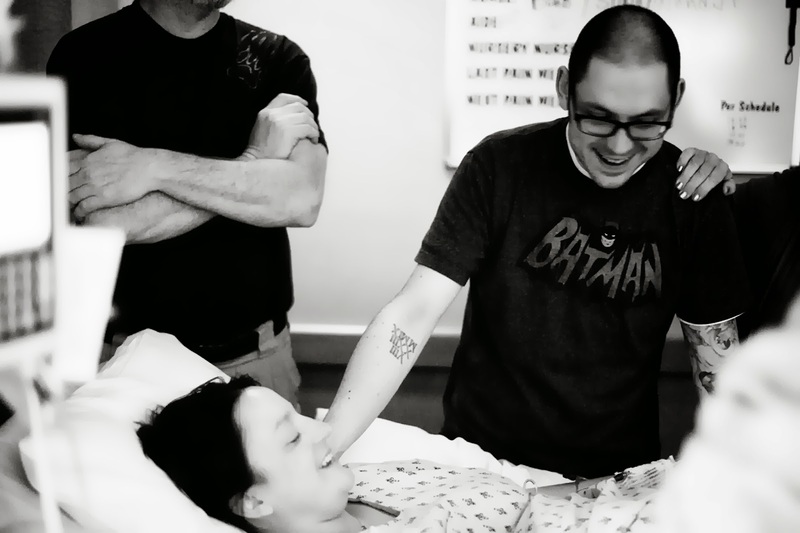 They rushed him over to the newborn table and gave him oxygen, which he didn't need because he started to cry right when they got him over there. I was so scared and so out-of-it that I didn't hear his first cry. Patrick leaned in and told me to stay with him and just breathe. That he was okay and I did it. I remember saying that I couldn't hear him cry, was he crying, was he okay? Patrick told me yes and to listen and I could hear him, which I did. Reassuring me that everything was okay. Grayson testing out his lungs. Hearing him crying and knowing that he was okay was one of the best moments of my life. So his first apgar score was really low (the benchmark they use to determine a newborn's health). But his five minute score was 9 (out of 10) so he was a real champ. I just can't believe that through the whole 26 hour labor, the pushing and the severe shoulder dystocia that his heart rate never faltered. He is such a strong, feisty and beautiful little man. Doing the Apgar tests (I think). The nurse put him on the scale and I remember hearing her tell my dad "oh that's probably not right, sometimes we have to reset this..." because the scale initially said 10 pounds, 5 ounces. 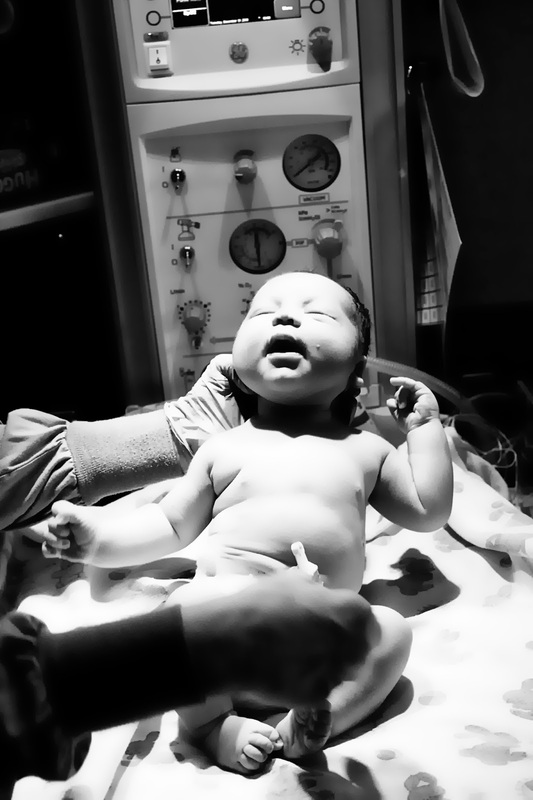 So she re-set it and viola, 10 pounds, 6 ounces. That's when everything started to make sense. How slow the labor was progressing, why my contractions weren't very effective but the pain was really high, the shoulder dystocia.... He was a very, very big baby. And not just on weight. His length was 22.5 inches and he had a head circumference of 14". Patrick asked several nurses and as far as anyone can remember, he was not only the biggest baby born in December, but the biggest baby born vaginally in recent memory. 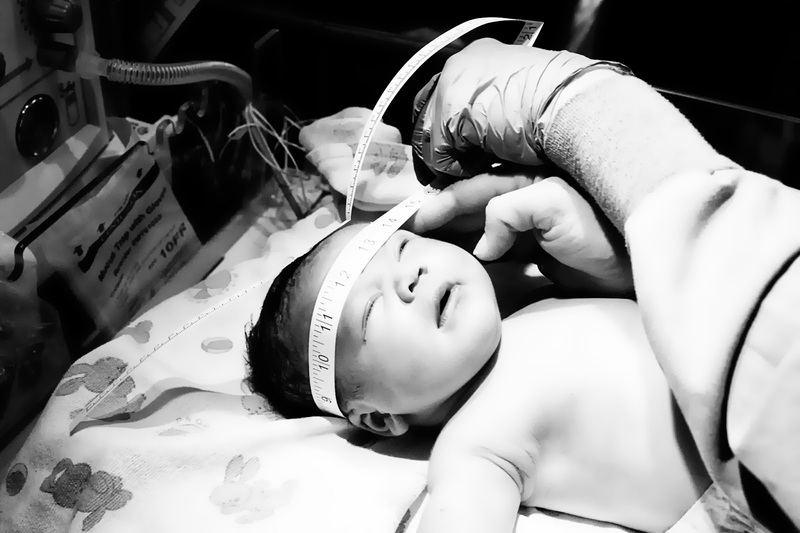 After the birth, Lori reviewed my chart to see if she had missed any indicator of his size. Normally very big babies are born to either women with gestational diabetes or Hispanic women (apparently). I did not have either of those factors. 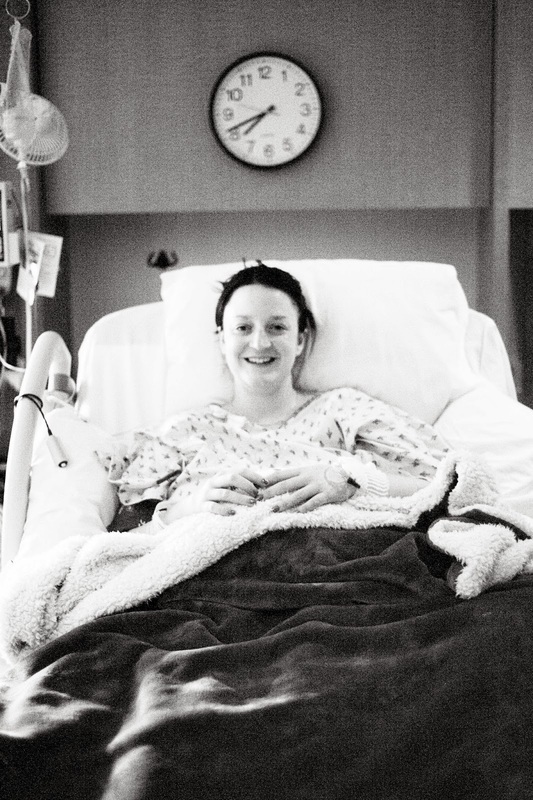 What I did have was an extremely healthy, large placenta and a very thick umbilical cord. Grayson was just a very well nourished little fetus. Add that to the fact that he was a week late, and that I'm tall and can "hide" his size in my long torso and you get a very unexpected large baby. Getting his big old noggin measured. Heavyweight champ! 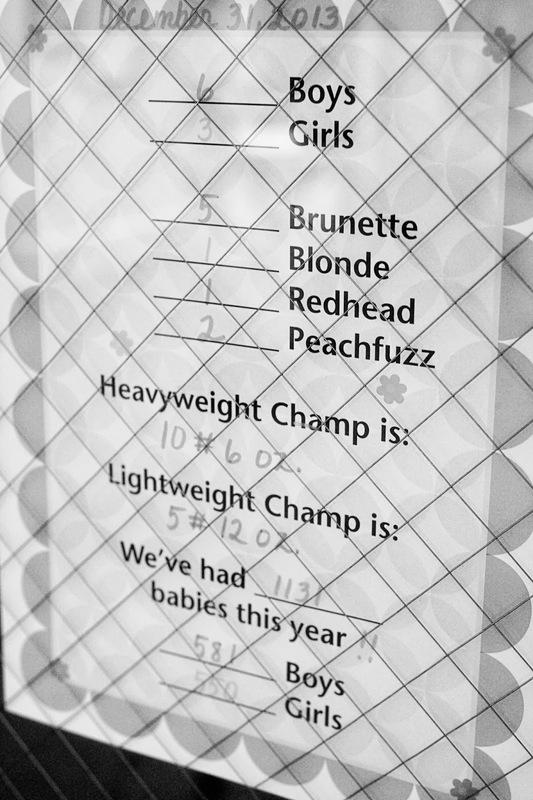 The baby that held the title before Grayson was a measly 8 pounds 8 ounces. 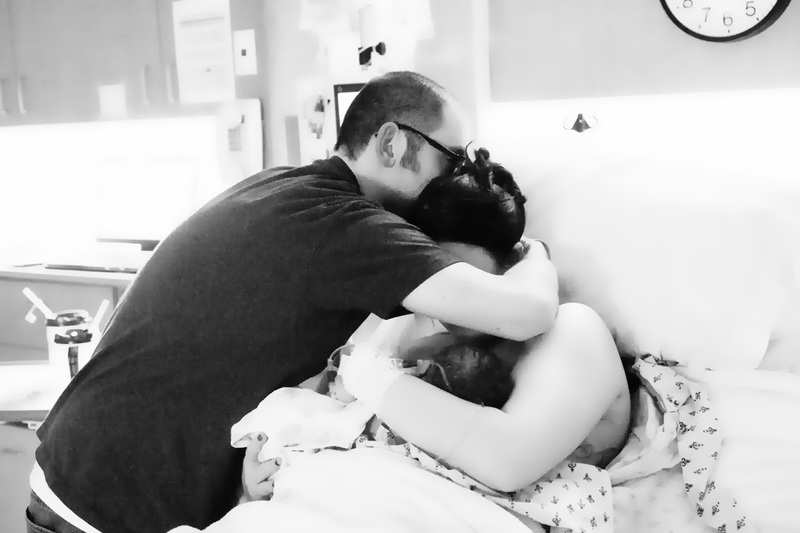 In the end, pretty much everything in our birth plan was thrown out the window (did I mention that during the whole shoulder dystocia thing Lori had to do an episiotomy?...ya that pretty much completed the list of things I did NOT want to happen during the birth that ended up happening). But everything that happened was for the best. 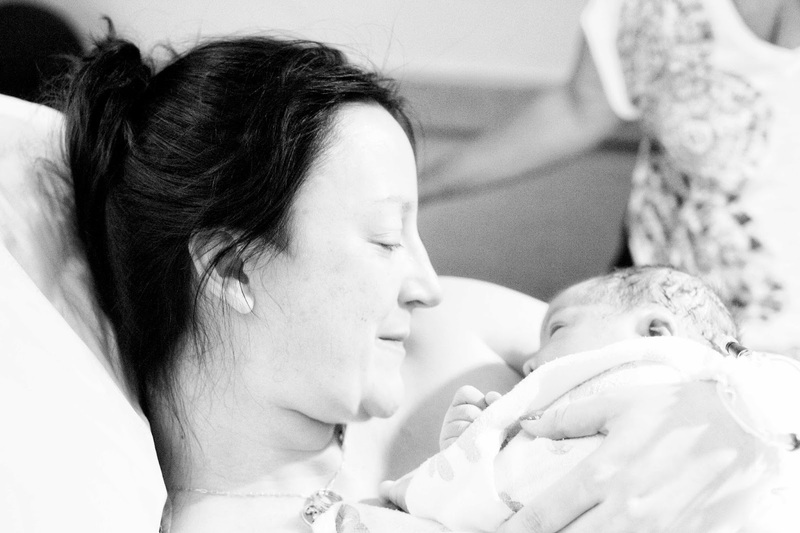 If I hadn't gotten the epidural, I most likely would have passed out from the pain of the shoulder dystocia and would have ended up with an emergency c-section. I had pictured this beautiful event and it turned out to be the most terrifying day of my life, and I think I can safely say, the lives of pretty much everyone else in that room. 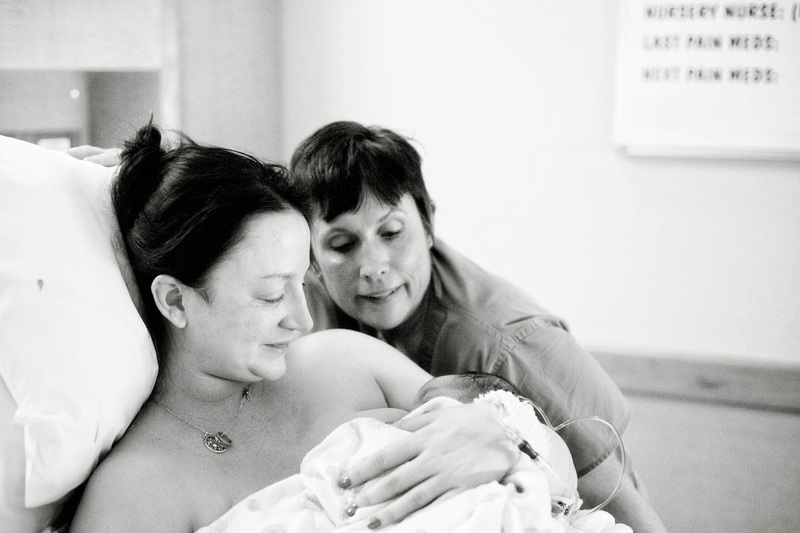 Even Lori, our battle-tested, uber-experienced midwife said it was one of the worst shoulder dystocias she'd ever seen and that what she really wanted to do was go home and drink three bottles of wine. Later she would describe him as "the baby who took ten years off my life." Lori meets Grayson and tells him she's got some words for him haha. Thankfully everyone turned out okay, healthy and happy. In the end, that's what is really important. I'm still mourning my "beautiful" birth I had created in my mind, but whenever I feel sad about it, I just look at his little face and know it doesn't matter. He's here and that's everything. This post is long enough now and even though there's a lot more to talk about that we've been through in the past month (Grayson's high blood sugar at birth, jaundice, and weight gain issues, my mastitis, intense healing process, etc...) but for now I'll just say that we are all doing well and so, so happy to have such a miraculous baby boy in our lives. I can't imagine life without him and I would do it all again a thousand times just to see his sweet little face. And with that, I'll leave you with some more lovely images by my sis Maleea (who I'd just like to give mad props for continuing to photograph despite the intensely stressful conditions). Thanks for reading, it's been cathartic to write this out. Now I'm off to kiss my baby's sweet little cheeks. Holding daddy's hand minutes after birth. I have no caption for this image because it makes me cry. The rest of the fam gets to meet the little fighter. After two days in the hospital, we got to head home. I've always said it takes the heart of a lion to bear and raise children. And to say you would go through this a thousand times to have Grayson makes you one of the noble and great ones.